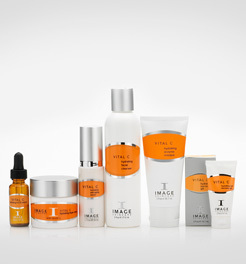 We are pleased to be able to offer Image Skincare Products for our customers to purchase online with a shopping cart! One of our best selling product lines with 4 skincare groups. The Image Skincare Total Ageless, Image Skincare Hydrating Vital C, Image Skincare Clear Cell Medicated, and Image Skincare Ormedic Balancing lines. Find the line that's best for your skin type and enjoy the excellent effects of this highly demanded skincare line.